Tomorrow is the day! Back to school for me! We have two professional development days, a teacher work day, and Open House night. I decided to “colorize” my back-to-school notes with Astrobrights Paper, and I am in love! 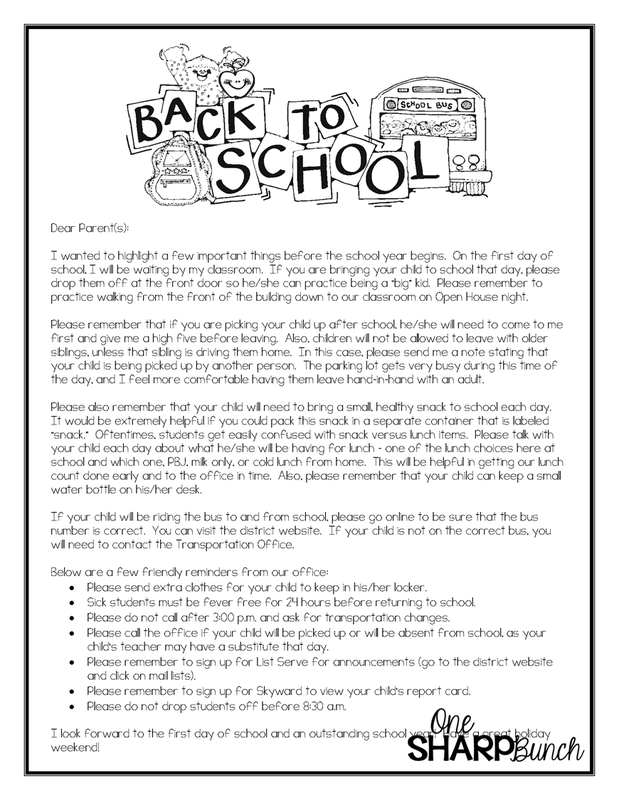 The orange note contains all the back to school reminders, such as where I will be waiting the first day of school, what lunch and snack will look like, how to contact the Transportation Office, as well as a few friendly reminders from our office. The green note is a note to the parents explaining a little bit about myself and our classroom. I used the FREE template I found from Nicole at Rowdy in Room 300. Thank you, Nicole! The blue note is my supply list. It contains a list of suggested student supplies, as well as needed donations. The yellow note is a note to the students. It tells them how excited I am to be their teacher and how much fun we will have in Kindergarten! 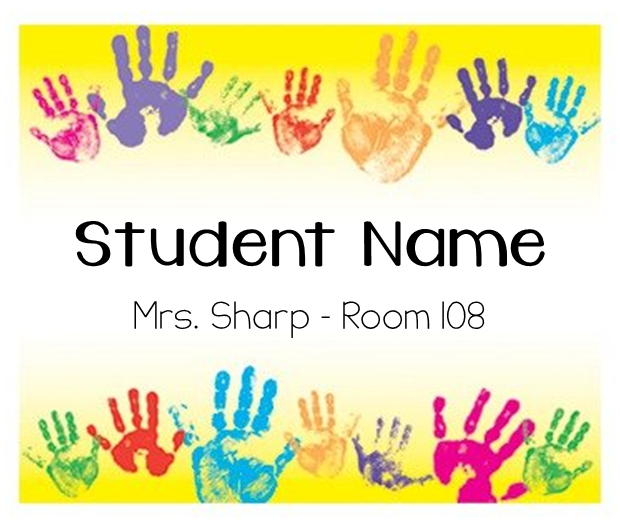 I also include a sticky name tag (Rainbow Handprints from Trend) that includes the student’s name, my name, and my room number. The students wear these on the first day of school. This helps the bus driver, office staff, and volunteers know where to direct the kiddos, especially if they forget who their teacher is or where their classroom is located. The green, blue and yellow notes, as well as name tags get mailed home before Open House. I place the orange note, plus my parent handbook and a few notes from the office, inside a folder. On top of the folder, I leave a pencil and a copy of this scavenger hunt. Since we do not give a formal speech during Open House, the kiddos will complete the scavenger hunt with their parent(s). 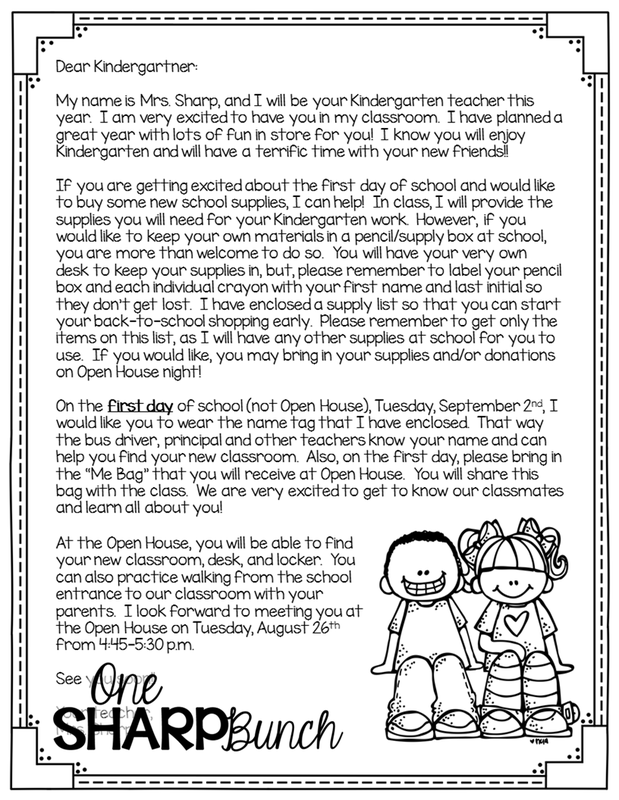 This gives me time to walk around and meet all of my new kinders and parents! If you like this scavenger hunt, you can grab it for FREE! 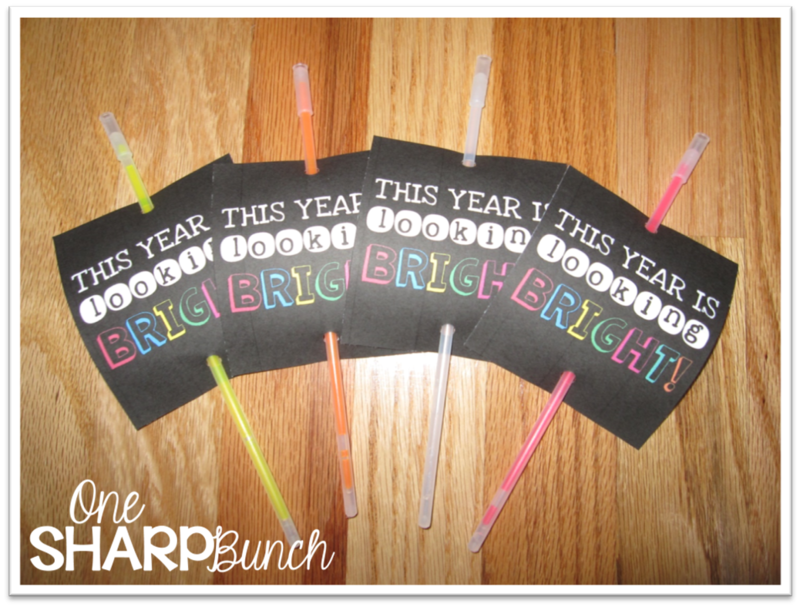 Plus, all the kiddos will get these fun glow bracelets! Hopefully, they will help the students feel a little more relaxed about their new teacher and new classroom! The talented Cassie from Funky in Fourth was kind enough to share this FREEBIE, which was a huge timesaver! Thanks, Cassie! and bus tags. Each bus has a number and animal to help our kindergarteners better remember their bus. and grab the editable tags here! 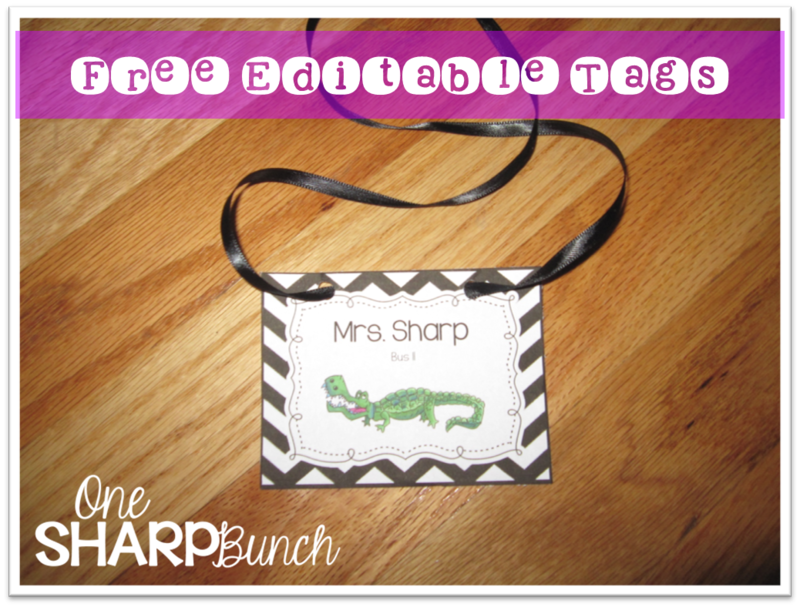 Use them for bus tags, name tags, locker tags, and more! 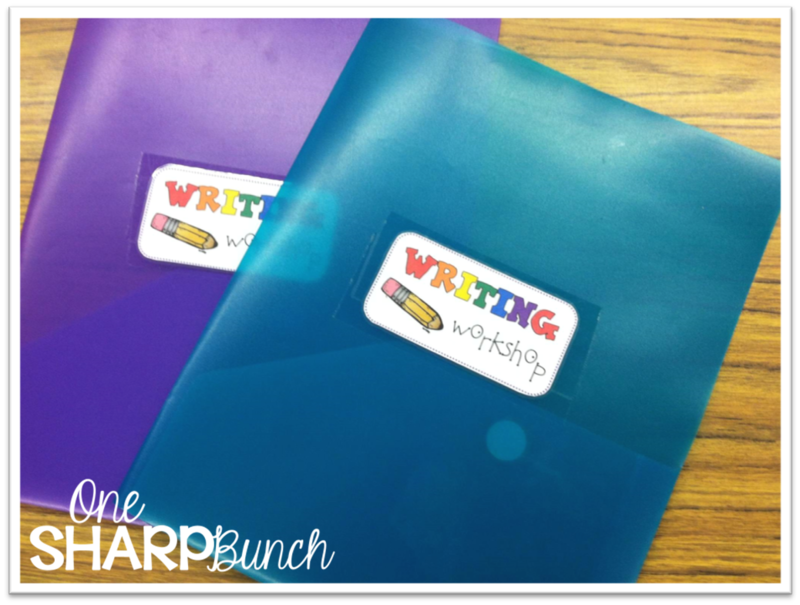 If you all have already started school, file these FREEBIES away for next year, or maybe you can use them at some point during the school year! Happy back-to-school! Love, Love, Love your parent handouts! 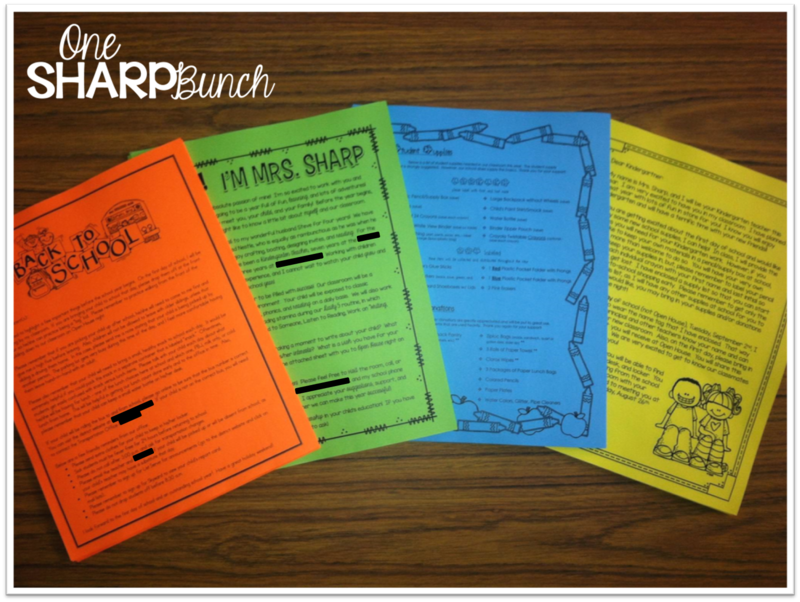 The bright colors will definitely help parents keep track of them with all the back to school paperwork they get! 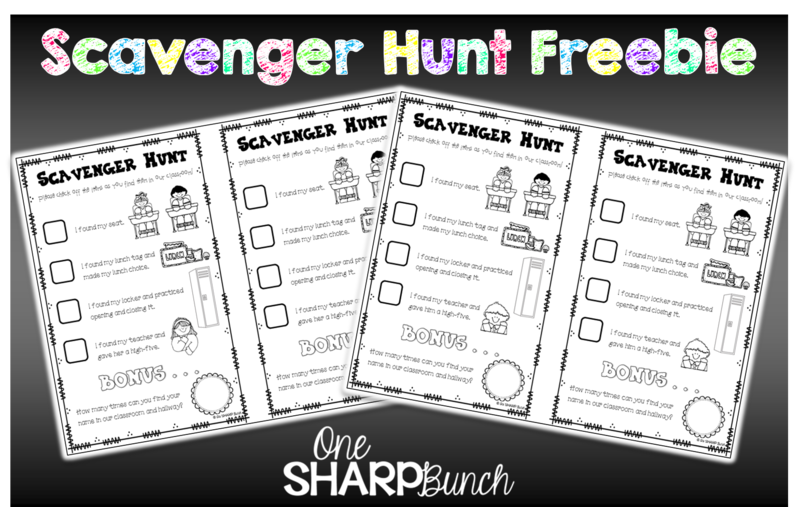 The scavenger hunt is such a great idea! We won't be having an open house this year (due to construction) but next year I am going to borrow this idea and change it a bit for my fourth graders! I am so glad you like the tags for the glow bracelets. Thank you for suggesting an idea for a phrase. I love how they turned out! !